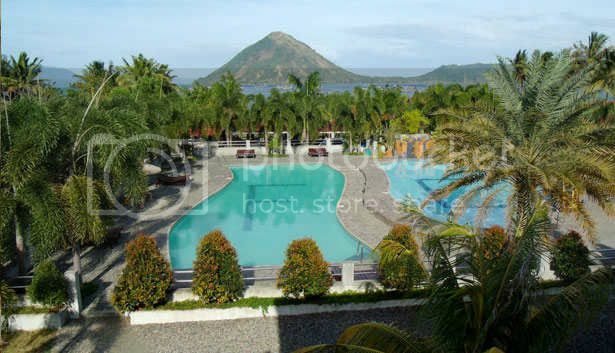 I saw this offer from cashcashpinoy.com and it might interest you; “2D/1N Fernandina Club Taal”. There are two packages to choose; good for 2 or good for 4 persons. Fernandina Club Taal is situated at the edge of Taal Lake; Fernandina Club Taal is the perfect hideaway for those who need to take a well-deserved break from the city bustle. Their beautiful accommodations and manicured gardens make for the perfect setting for a weekend out of town. Equipped with a courteous staff, Fernandina Club Taal provides total relaxation for guests. Fernandina Club Taal is located near TaalLake and provides many activities for guests like fishing. All rooms feature plush interiors with aircon, cable TV, a hot and cold shower, mini fridge, welcome drinks, and more. Enjoy lounging in the cabanas near the lake, swimming in the pool. Get to fish in their very own fishpen and take home 1 kilo of fresh tilapia. Good for 2 persons for 2D/1N Standard Room accommodations at Fernandina Club Taal, breakfast, fishing activity, 1 kilo of tilapia, and use of hotel amenities. Good for 4 persons for 2D/1N Deluxe Room accommodations at Fernandina Club Taal, fishing activity, 1 kilo of tilapia, and use of hotel amenities! Transfer, tour, other meals are not included.